Ask if There Are Compounding Fees? 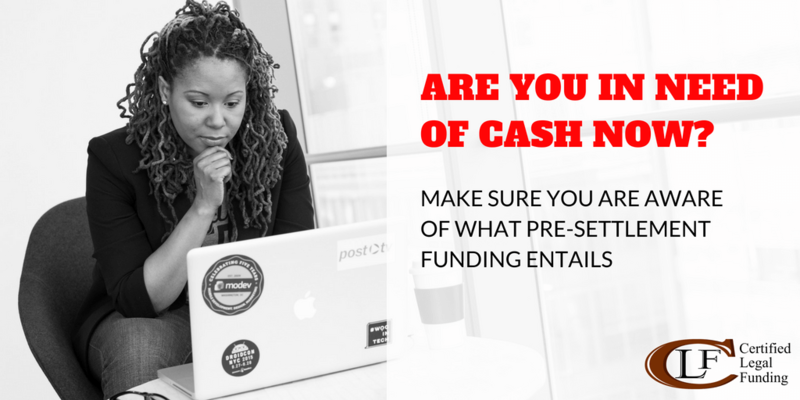 One of the first things you should ask a legal funding company is if its interest or fees are compounding. If they are, then walk away. That is because compounding interest will mean that you will owe more when your settlement comes through. So, you’ll receive less money than you were supposed to because these compounding fees will take a larger cut than you might have originally thought. When dealing with a legal funding company, it is always best to be upfront. Ask about the fees they charge and see what they are for and how much they are exactly. If a legal funding company is hesitant in revealing this, then you might start to wonder what else they are hiding from you. It’s also not too far-fetched that they will create contracts that are overly complicated in order to confuse you on how and where your money goes to. So, before signing anything, make sure your attorney looks things over with you. This is also the norm for most legal funding companies, since they require your attorney to sign off before they can approve you for a cash advance. Make sure you know when their fees and interest ends. If they stop after 12 months, then that is a good sign. If they continue past that point, then you could end up paying more than you bargained for. The last thing you would want is to receive your settlement and end up owing the legal funding company more than you receive from your settlement.